Arpaio, an early and enthusiastic Trump surrogate, was convicted of criminal contempt in July for violating a court order to stop racially profiling Latinos. When Trump allegedly asked Sessions this past spring whether it would be possible to drop the federal criminal investigation into Arpaio, Sessions told Trump such a move would be inappropriate, but that Trump could pardon Arpaio if he was convicted, The Post reported, citing three people familiar with the conversation. Trump ultimately granted the pardon on Friday evening, sparking fierce backlash from liberals and some conservatives. 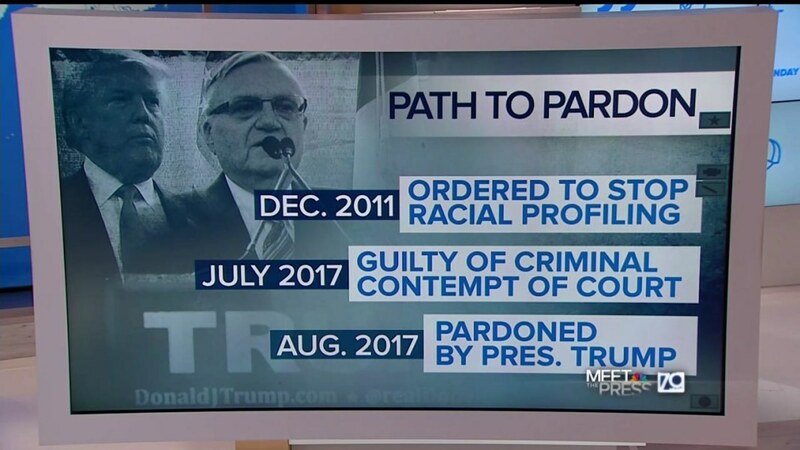 But some legal analysts also pointed out that Trump’s decision to pardon Arpaio, and the actions he took preceding that, may serve as an important piece of evidence to special counsel Robert Mueller, who is reportedly investigating the president for obstruction of justice. Specifically, Trump’s decision to pardon Arpaio is key to determining his intent when he had the February conversation with Comey about dropping the Russia investigation before ultimately firing Comey after he refused to do so, said Renato Mariotti, a former federal prosecutor. According to Comey’s testimony before the Senate Intelligence Committee in June, Trump privately told Comey, who was spearheading the FBI’s Russia probe at the time, he “hoped” Comey would “let this go,” referring to the investigation. Several Trump allies and Republican lawmakers have since grasped those words and said they do not prove Trump tried to obstruct justice by asking Comey to drop the investigation and subsequently firing him. Sen. Jim Risch of Idaho, for instance, zeroed in on the statement during Comey’s testimony. “Not in his words, no,” Comey replied. “He did not order you to let it go,” Risch said. The main thing Mueller — who was put in charge of the Russia investigation after Trump fired Comey — would need to prove in an obstruction of justice case is whether Trump acted with corrupt, or unlawful, intent when he asked the FBI director to drop the Flynn investigation.